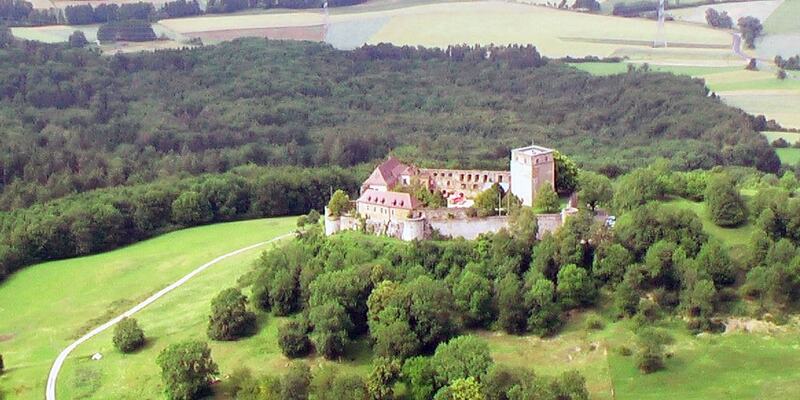 The Giechburg is a partly reconstructed hilltop castle located within the city district of Scheßlitz. The castle has given its name to a district within the city. The Giechburg was acquired by the district of Bamberg in 1971, and was reconstructed as a conference and hospitality center. Signage describes the history of the castle and the topography of Upper Franconia.